Record conference-call hold music — a private limbo of your own making. Deadline: This project’s deadline is 11:59pm (that is, just before midnight) wherever you are on Monday, June 4, 2018. This project was posted in the late afternoon, California time, on Thursday, May 31, 2018. Major thanks to Matt Pinto for having proposed this Junto project prompt. Step 1: Hold music is a ubiquitous fact of modern life. Ask yourself what hold music you’d like to hear while waiting for someone to pick up the other end of the line, or while waiting for a conference call to begin. Step 2: Record a short piece of hold music that satisfies the scenario you pondered in Step 1. Your finished track should be suitable for looping, since you never know how long you’re going to be on hold. 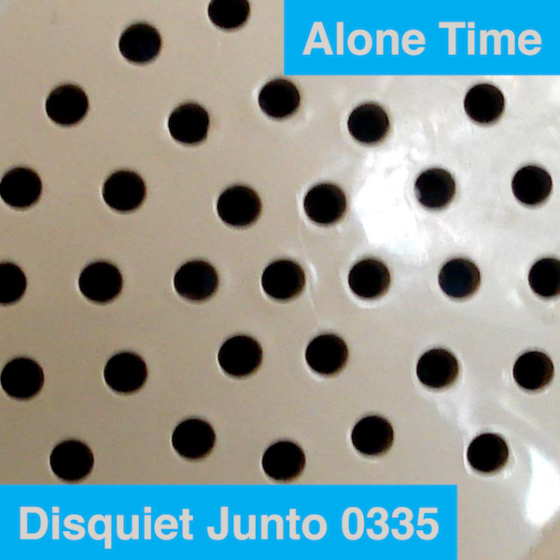 Step 1: Include “disquiet0335” (no spaces or quotation marks) in the name of your track. Step 2: If your audio-hosting platform allows for tags, be sure to also include the project tag “disquiet0335” (no spaces or quotation marks). If you’re posting on SoundCloud in particular, this is essential to subsequent location of tracks for the creation a project playlist. Length: The length of your track is up to you. It should be suitable for looping, since you never know how long you’re going to be on hold. Title/Tag: When posting your track, please include “disquiet0335” in the title of the track, and where applicable (on SoundCloud, for example) as a tag. Record a massive multi-layered tribute to the legendary guitarist-composer. Deadline: This project’s deadline is 11:59pm (that is, just before midnight) wherever you are on Monday, May 28, 2018. This project was posted in the early afternoon, California time, on Thursday, May 24, 2018. Tracks will be added to [the playlist] for the duration of the project. Major thanks to James Britt for contributing this Junto project prompt. Step 1: This project is a tribute to the late avant-garde composer and guitarist Glenn Branca, who died earlier this month. Among Branca’s many musical systems was to have a vast number of musicians, say 100 guitarists for example, perform together. We’re going to explore that mass of sound to produce a mass in Branca’s memory. It will be a Mass Mass. Step 2: Pick a single sound source, an instrument perhaps, but really anything that makes a specific sound. One thing to aim for is a sound source that is rich in overtones. Step 3: Use multiple layers (with “multiple” being defined as you see fit — 100 layers would be awesome, but so too would 10, 30, 50, etc.) of this sound source to record a piece of music. Background: While knowledge of Glenn Branca’s work isn’t necessary to participate, it is recommended to read up and listen a bit. Step 1: Include “disquiet0334” (no spaces or quotation marks) in the name of your track. Step 2: If your audio-hosting platform allows for tags, be sure to also include the project tag “disquiet0334” (no spaces or quotation marks). If you’re posting on SoundCloud in particular, this is essential to subsequent location of tracks for the creation a project playlist. Length: The length of your track is up to you. Massive doesn’t necessarily mean long, but long is certainly welcome. Title/Tag: When posting your track, please include “disquiet0334” in the title of the track, and where applicable (on SoundCloud, for example) as a tag. It was a pleasure this week to have been featured as the guest on the great Podular Modcast, which as its name suggests is a podcast about modular synthesizers. The Podular Modcast is hosted by Tim Held and Ian Price. Price wasn’t available when the episode was recorded, but he does appear early on in the segment, telling a touching story about Aphex Twin, a subject that then leads into Held interviewing me about my Aphex Twin book, Selected Ambient Works Volume II (33 1/3, Bloomsbury), and announcing that it has been licensed for translation and publication in Japan, something I just learned this past week. I spent five years at a manga company bringing Japanese books (comics and novels, and related titles) to America, so it’s nice to send one back. Held and I then talk about modular synthesizers, how I got into accruing (assembling? agglomerating?) one myself, after witnessing Marcus Fischer perform live in Portland when I did an Aphex Twin reading there back in 2014. We discussed the tactile as well as visual feedback of modular synthesis, and other topics. I had a great time speaking with Held. You can listen with the above embedded audio player, or at podularmodcast.fireside.fm. Agnes M is Agne Matuleviciute of Vilnius, Lithuania. “A Window” is a short piece she posted recently on her SoundCloud account, providing little context beyond noting it’s a work for theater. The backbone of it is a steady, generously slumbrous tonal sequence, a sleepy stepwise bass line played out, presumably on a keyboard. That line persists for almost the entire piece, as different things are laid atop it, at first filters and effects and little extra notes here and there, an improvisation in a higher register, a fracture of noise. As it proceeds, more and more intercedes — the sound effects get more insistent, the variety and artful chaos increase. There is simulated wind, and what might be horses neighing, and much much more. The track itself gets twisted back on itself, that bass line momentarily disappearing below the ratcheted-up phalanx of sounds. Eventually that line reappears, lending a sense of full-circle closure. Much as the variety of noises had held the line at bay, when it returns it in turn suggests those noises as a passing dream. Track originally posted at soundcloud.com/aagnesm. More from Matuleviciute at instagram.com/agne._ and YouTube. The track was produced with Martynas Vil (soundcloud.com/martynasvil), who’s based in London. Erika Nesse makes fractal music. She imposes intricate, self-reflexive patterns upon pre-existing material, breaking it like mirror that has shattered, except this shattered mirror has been reformed into a gleaming, spinning, geometrically intricate and fascinating mirror ball. The ball goes round and round, speeding up, slowing down, shifting suddenly, and all the while shooting back tiny sliver segments of the source material that is reflected in it. Well, sonically speaking. In Nesse’s hands, a simple vocal tone can be turned into a momentous rhythmic figure, shifting endlessly between variations subtle and stark. This piece, “Kyrie (Geometric Clouds),” takes its fractal methodology from the image that serves as the track’s cover art. As Nesse decodes the image in a brief accompanying note: “An audio clip is split into fragments. Up and down represents the location in the clip where the fragment starts. Left to right represents time within the track. Many layers of the fragment starting at different times are stacked together, creating an echo effect.” Listen for the patterns. Then take a deep breath, step back, and listen to it as a multi-movement composition with echoes of Scott Johnson (vocal cutups) and Philip Glass (hyper-charged minimalism). Track originally posted at soundcloud.com/conversationswithrocks. More from Nesse, who is based in Boston, Massachusetts, at fractalmusicmachine.com and erikanesse.bandcamp.com.